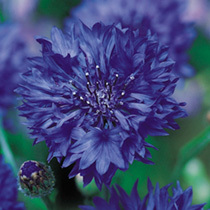 Cornflowers really should be grown in every garden. They not only attract bees by the dozen, they also give you hundreds of beautiful flowers. 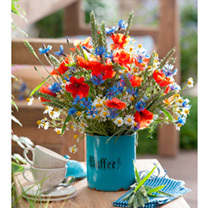 You can use this flower in almost every floral arrangement. If you dead head one flower, you get two in its place! That is how productive this plant is. 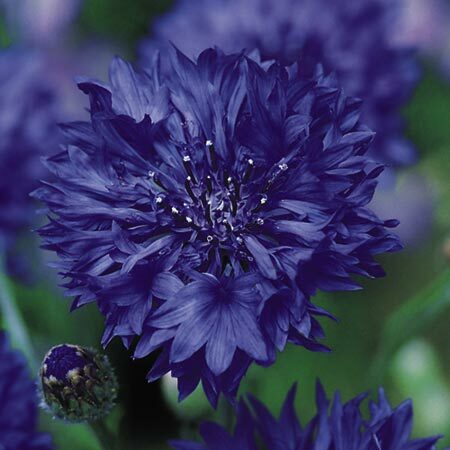 You can use it to create that ‘cottage garden’ feel and a good choice for the back of a border, or try growing it in containers with decorative poles or canes, which adds extra height to the garden and a huge burst of blue. Height 75cm (2½’). HA - Hardy annual.